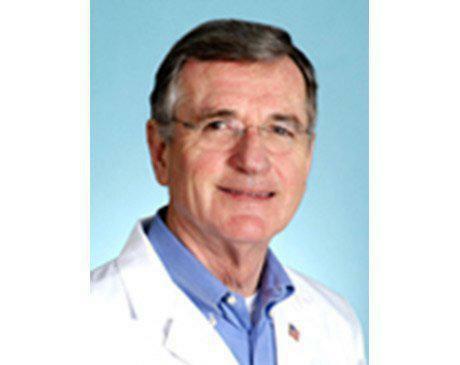 Neuro Pain Consultants Providers Paul D. Croissant, M.D. USAF Ready Reserve, Berry Plan, Captain. Intracranial Midline Anterior Fossae Ossifying Fibroma Invading Orbits, Paranasal Sinuses and Right Maxillary Antrum. Scott, M., Peale, A., and Croissant, P.: Journal Neurosurgery, 1971, 34: 827-831. Portnoy, H.D., McElhaney, J., Croissant, P.D., and Melving, J.L Mechanism of Cervical Spine Injury in Auto Accidents, Proceedings 15th Conference American Association of Automotive Medicine, pp. 58-83, Colorado Springs, 10-71. Portnoy, H.D., and Croissant, P.D. : Anti-Siphon Valve On-Off Device in the Prevention and Treatment of Shunt Induced Subdural Hematoma. Pan-American Medical Association. Miami Beach, Florida 11-19/22-1972. Portnoy, H.D., and Schulte, R.R., Fox, L.J., Croissant, P.D., and Tripp, L.: Anti-Siphon and Reversible Occlusion Valve for Hydrocephalic Shunts with Particular Reference to Preventing Post-Shunt Subdural Hematoma. Journal Neurosurgery 38: 729-738. Portnoy, H.D., and Croissant, P.D. : New Devices for shunting Hydrocephalics. Neurocirugia, Mexico (in press). Portnoy, H.D., and Croissant, P.D. : Padded Brain Retractor. Surg. Neur. 1:243,1973. Portnoy, H.D., and Croissant, P.O. : Two Unusual Complications of Ventriculoperitoneal Shunt. Journal Neurosurgery, 39:775-776, 1973. Portnoy, H.D., and Croissant, P.D. : Combined Drainage of Ventricular and Subdural Fluid. Surg. Neur. 2:41-42, 1974. Portnoy, H.D., and Croissant, P.D. : Practical Method for Measuring Hydrodynamics of Cerebrospinal Fluid. Surg. Neur. 5:273-277, 1976. Portnoy, H.D. Tripp, L., and Croissant, P.O. : Hydrodynamics of Shunt Valves, Child's Brain 2:242-256, 1976. Portnoy, H.D., and Croissant, P.O. : Pre and Postoperative Cerebrospinal Fluid Absorption Studies in Patients with Myelomeningocele Shunt for Hydrocephalus, Child's Brain 4:47-64, 1978. Portnoy, H.D., and Croissant, P.D. : Cerebrospinal Fluid Absorption Studies on Patients with Myelomeningocele and Hydrocephalus, Child's Brain (in press). Chopp, M., Portnoy, H.D., Shurig, R., and Croissant, P.D. : Clinical Dosimetry During Cerebral Arteriography. Neuroradiology 20, 1980 (in press). Pevehouse, B.C., Croissant, P.D., Geise, A.W., and Lippe, P.M., in conjunction with Resources Inc.: 1987 Comprehensive Neurosurgical Practice Survey. American Association of Neurological Surgeons, 1988. Rose, K.D., Croissant, P.D., Parliament, C.F., and Levin, M.B. : Spontaneous Spinal Epidural Hematoma with Associated Platelet Dysfunction from Excessive Garlic Ingestion: A Case Report. Neurosurgery 26:880-882. 1990. Onik, G., Mooney, V., Maroon, J., Wiltse, L. Helms, C., Scweigel, J., Watkins, R., Kahanovitz, N., Day, A., Morris, J., McCullough, J., Reicher, M., Croissant, P., Dunsker, S., Davis, G., Brown, C., Hochschuler, S., Sault, T., and Ray, C.: Automated Percutaneous Discectomy: A Prospective Multi-Institutional Study. Neurosurgery 26:228-233, 1990. Nazzal, M., Croissant, P.O., Ali, M., and Kaidi, A.: Intraradicular Disc Herniation: A Case Report of Literature, Journal of Spine Disorders, 8:86-88, 1995. Current Surgery, The Official Journal of the Association of Program Directors in Surgery, Editorial Board Member in the area of Neurosurgery, September 2004-present.